We the current generation have received selfies as one of the most celebrated medium of communication. We shoot selfie images in every situation and mood of our life. When we are happy, sad, say goodbye, etc. we take selfie and we also desperately pose in various ways. Everybody we want to show ourselves, our situation, activities, etc. smartly and even like the models so that we can get others’ attention. Some of our images get hits, but most of the selfie images cannot grab attention as we want. If we follow some basic rules of photography, it will be easy to take the best selfie like a model and we will be successful to do what we want to post these selfies. 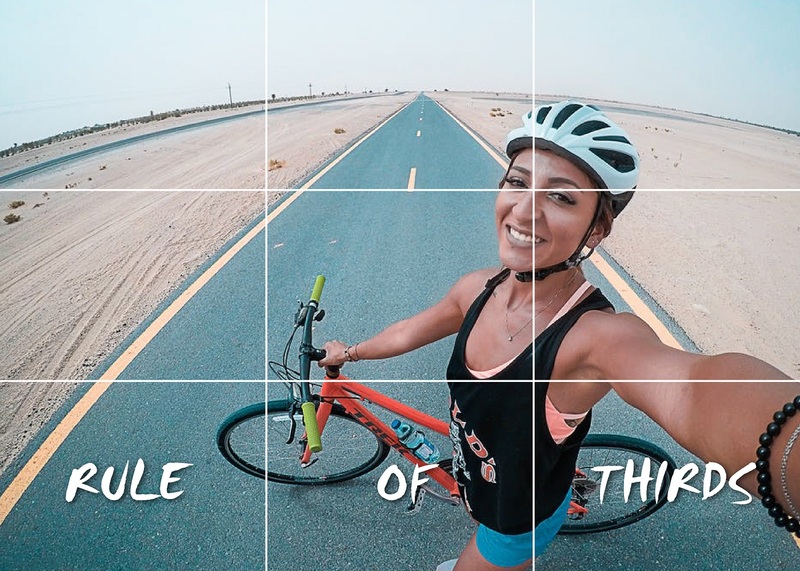 The following rules will improve your selfie photography technique. If you can follow, you can take selfie images like a model. So, try to get it before your next selfie photo shooting. It is natural that everyone has some special angles which s/he looks gorgeous from. To take fantastic selfie, such angels can play a great role. Just what you have to know is that you have to find out your right angles. You can take many selfies from different angles and choose your right angle and latter follow on. You can also ask someone to help you searching appropriate angles or you can DIY at home in front of a mirror. Get position and move around to see every angle in the mirror. Make a mental note of your best angle and during taking selfie, pose according to your noted angles. Right angles help producing stunning images. Lighting is everything and only lighting is the beauty regarding photography as well as taking selfie. Good light increases the beauty and gorgeousness and poor lighting ruins the quality of the even great images or selfies. So, appropriate lighting is a must. The best lighting for taking selfie is natural light. To have natural lighting, just go to the window and open it and stand facing light. Or you can go outside to get suitable lighting. In this case, turn on the sunlight mode in your camera or phone. You can also use selfie flash in the poor lighting environment. Enough lighting plays great a role to achieve the best selfie images by camera or phone. Usually, everyone likes to take selfies highlighting his activities such as meeting a friend after a long time, during new product unboxing, having food in the restaurant, holiday celebration or parties, etc. Like others, you also have to highlight your daily activities. The models or celebrities highlight their daily activities in their selfies. They highlight their shows, parties, products, etc. that makes their selfie photographs informative. Thus, make your selfies say something about your daily stories. Every Photographer knows about the rule of third. The rule is called the golden rule. The general selfie takers don’t know about the rule. If you maintain the rule during shooting your selfie, you will get outstanding selfies surely. When you go to take selfie, you can see some vertical and horizontal lines on the camera screen. Put yourself in one of the four points and you will get perfect photo frame. This framing will save space beside your subject and background will be visible, which will add extra flavor in the image. To get quality selfie, try to follow Rule of Third framing rule and produce stunning selfies. Pose as you want. Don’t feel shy or heed anyone. As long as you are not offensive, or it looks bad taste, pose doing as more fun as possible. Do whatever you did in your childhood. Make unlimited fun shrinking face, eyes, lips, etc. Change position, places, dresses and accessories, companions, backgrounds, and others to bring uniqueness in the selfies. Pose like the models, actors or actress, and other character you like. But, be careful of not crossing the limit and don’t let it happen any crime. Don’t show hard poses or stunts uselessly. Don’t take any risk. Remember, simplicity is the best pose of selfie photograph. All of your techniques to get a better selfie may go in vain because of the lacking of knowledge of right camera selection. If you don’t have a suitable camera for capturing selfie image, your images will lack of proper lights, resolutions, exposure, and may suffer from noises. If you use a phone camera, it must have a good resolution front camera and bare-bones features. The selfie images taken by the camera which has satisfactory resolution, you most often need not post production services for selfie photo editing, because the camera itself solves many skin issues. In case of using phone camera, you may need a selfie-stick which helps you taking exceptional model like images. Photography is all about proper lighting. In case of selfie this is also true. Bad shadow can ruin the beauty of your stunning selfie images. Shadow makes your images blackish and falls on lighting spots which decrease the quality even of the most beautiful selfies. So, try always to avoid shadows on your face. To have perfect selfie just as you want, you should use flash light from your camera or phone. So, you have to know where and when to use flash for additional light. If you want to have selfie just before the evening and light is not enough to identify faces, you should use suitable flash light. Again, if the sky is cloudy and you feel the shortage of light, you can use light. In short, when you need extra light for brighter selfie, and if the image in the camera or mobile screen lack of light or seems blackish, use flash or extra light. Smiling face is always better for photography. Selfie also demands smiling and jolly faces. It does not mean you have to smile continuously. Try to avoid pretended looking. 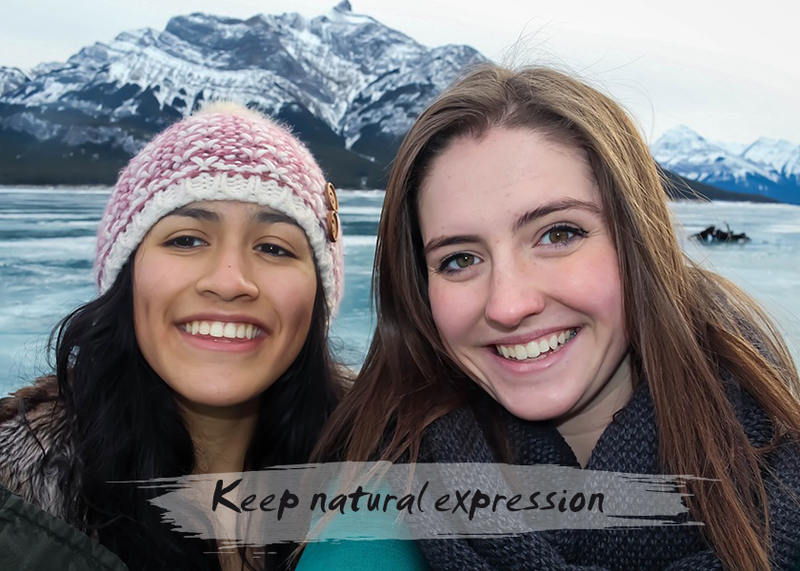 If your smile does not go natural, practice in front of a camera and select the best smile. Sometimes, you may be serious and then, smile using eyes that mean eyes should be fresh and positive. Smiling face is important and provide a model like looking. To have the best model like selfie images, capture selfie photo as much as possible so that you can choose one. Many photographers says to capture hundreds of photos and select the best selfie you like most before posting. 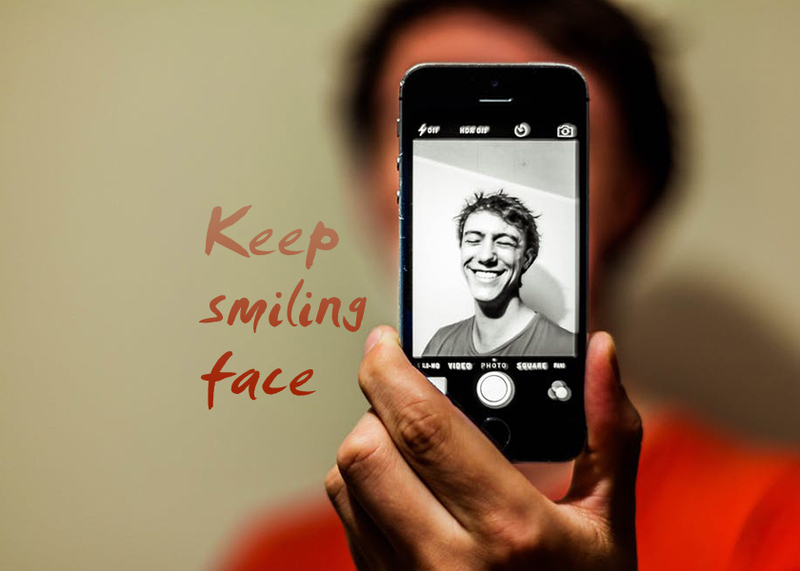 Pose differently during capturing selfies and thus get various types of looking. Only taking selfie is not enough, it requires a little bit editing. Before posting any social media like instagram, apply filters you like to improve the image quality. Add effects and presets to remove image flaws, retouch selfie photos lightly, remove background if you feel needed, but be careful of not to over edit which will ruin the texture and your skin will look like plastic. If you are familiar with Adobe Photoshop, you can edit images DIY at home or you can also send your selfie images to the image editing companies like Color Experts International for improving image quality. Image background and object is an important factor regarding image quality. If you maintain the rule of third, your image will get background and objects which may add additional beauty in the selfie. Again, the background can decrease the image quality also. In this case, you should think about image background and its objects. If they are odd and harmful for your selfies, you should remove or edit the background. The model selfie images have background and they always try to post the best selfies which have perfect backdrops and objects. If you follow the model images, you can see all the models pose naturally. They remain cool and chill during any photo shooting. If you want to get high quality and perfect model like selfie, you also have to keep natural expression. Don’t be robotic or too loose that seems awkward and your selfie will lose quality. Stay positive, stress free, calm, and relax while taking selfie. It will help you getting model like selfies. Sometimes, you may capture selfie keeping too much space around the subject. Background objects may grab much of the attention which is not appropriate to have a model like selfie. In such case, you can crop the images and remove the extra room and can bring all the focus on you. Open the image in Photoshop, zoom and use the crop tool to cut out additional frame. Most of the images of the model or showbiz are retouched more or less. All of your model images are edited to make perfect and like that, you can also edit your selfie images taking enough time. If you can do it by yourself, do and if you are not familiar with image editing then send your images to the image editing companies who will edit your images to bring model like perfection and looking. Most of the time, we take our selfie images using our phones. If you also do it, use the front camera on your phone instead of back camera. During capturing selfie images using back camera, your selfie may not be captured perfectly and they may get distorted regarding perspective, lighting, alignment, etc. To avoid such risk, use front camera of your phone. If you have a camera, then this suggestion is not for you. Those which go viral are the ideas come out of box. Heed it that your extraordinary selfie images are also those which are taken breaking out of general photography laws. Besides, in social media the images that are viral are different, odd, funny, and weren’t taken maintaining rules of photo shooting. You can follow the same style while taking selfie images. One of the most important issues regarding taking selfie is to look up towards the camera lens. In case of general photography, you may not look up towards the camera, but selfie always demands it. You are looking to the camera that seems you are looking towards the viewers. Such selfie images are superbly worth of engagement. They have the power to create a strong connection with the audience. When you will take any selfie, don’t lean too much. Most of the people make the mistake and ruin the quality of the best selfie images even. It makes your looking shorter and it seems that you are not tall enough. To avoid this bad practice, just extend your head from neck. It will make your appearance longer than that you are really. It is often seen many of us become robotic during taking selfie images. This practice may destroy the purposes. Model selfies are always natural. For getting a model like natural images, you should relax your face and mouth. Don’t try to tighten face, forehead or even body. Stay simple, smiling, look at the camera, and get the best selfie which is guaranteed. Almost all the selfie images posted in the social websites, are captured and shared using mobile phone. To take professional model like selfie photos, take your phone by one hand. However, these are some of the fantastic ways which are easy to follow and if you follow, you can capture selfie like a model. 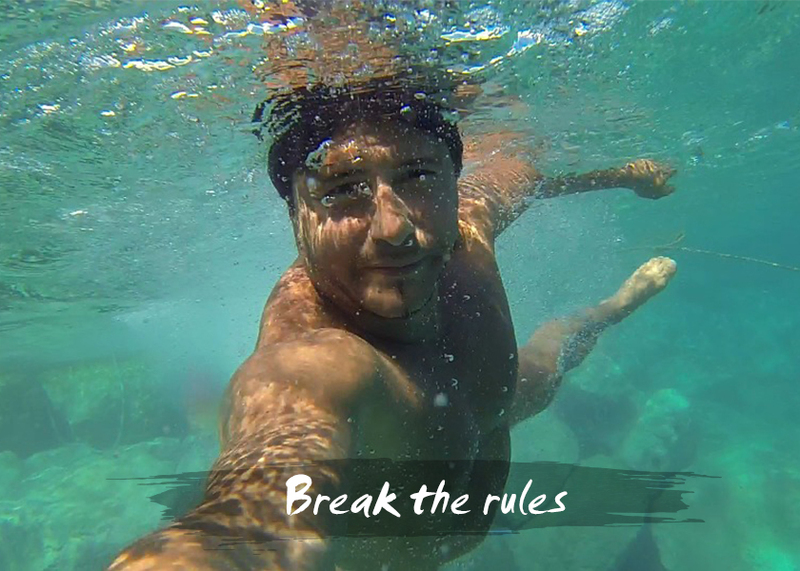 So, maintain these rules not only during taking selfie photograph, but in other photography and get amazing images and use these stunning selfie photos for personal and commercial purposes.